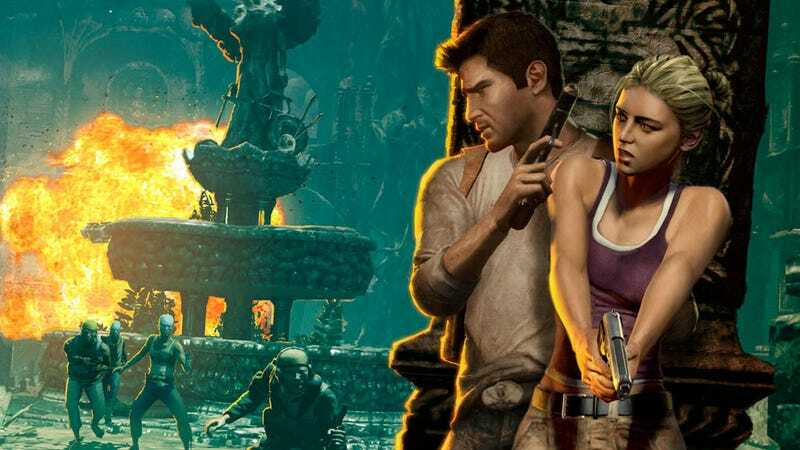 Set aside your concerns about Mark Wahlberg portraying PlayStation 3 action hero Nathan Drake in the big screen adaptation of Uncharted: Drake's Fortune, because it doesn't sound like this movie is based on the video game at all. Uncharted director David O. Russell tells the LA Times that he sees Nathan Drake and his extended family as some sort of global antiquities squad that dispenses treasure-hunting justice. This must be the concept that Mr. Wahlberg described as "so off the charts." "This idea really turns me on that there's a family that's a force to be reckoned with in the world of international art and antiquities ... [a family] that deals with heads of state and heads of museums and metes out justice," Russell said, which actually sounds more like Indiana Jones' motivation. That family may include Wahlberg's potential co-stars Robert De Niro and Joe Pesci, transforming this Nathan Drake adventure into a film that could be easily titled Uncharted: Antiquity Mafia. For more details on Russell's "really cool idea," read on, lucky Uncharted fans!